Located only 10 km south of Chora, the capital of Naxos, Plaka is among the most beautiful beaches of the island. Long and sandy, the crystal waters of Plaka invite you to enjoy the hot Greek sun and the fresh sea breeze. While part of the beach is secluded and ideal to enjoy some privacy, another part is organized with umbrellas, sun beds, delicious taverns by the sea and a watersports centre. 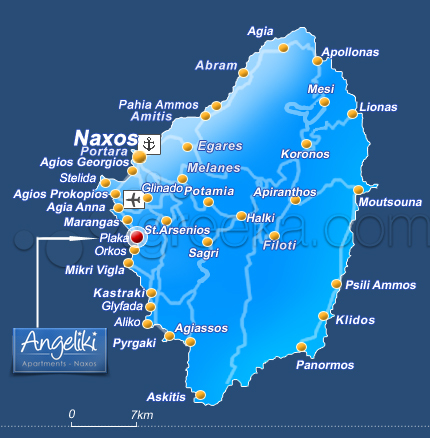 As Naxos is also a perfect island for windsurfing, you will find a surf centre in Plaka to rent equipment and take courses of all levels. Frequently connected to Chora and other beaches in Naxos by bus, Plaka is a lovely family place to enjoy your summer holidays.